Scuba diving is the biggest activity on the Andaman & Nicobar Islands other than lying around and eating seafood. The best season for diving in Andaman & Nicobar Islands is from December to April. 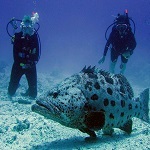 The exciting experience of Scuba diving is a major tourist attraction. One can see the fascinating marine life among the world of amazing water bodies, colorful fishes and amazing corals. One can explore the wonders of scuba diving and can get the rare experience mixed with adventure. However, Diving in Andaman & Nicobar Islands is still in its infancy. The Indian government takes a serious approach to protecting its marine resources. As a result, marine life populations are robust, and divers are often surrounded by fish. At places like Mahatma Gandhi Marine National Park in Wandoor, clouds of surgeons and barracuda gather in mid-water, snapper and sweet lips swarm over the rocky reef, and big fish like Giant Trivially and Bump head Parrotfish are seen on nearly every dive. Giant Grouper and schooling Modula Rays also make regular appearances. Many sites are home to endemic species like Andaman Damselfish, Andaman Sweet lips, and the distinctive Indian-Ocean Spine cheek Anemone fish. The Scuba Diving centers have all the facilities and necessary equipments for a great experience of scuba diving. Adding to this there are many skilled trainers who can help the tourist in getting into the deep of the sea. A Safe and Exciting Under Water Adventure! Sea Walker provides you an opportunity to observe the underwater world at shallow. Depth (between 3 and 7meters) without any swimming skills.Participants walk on the ocean floor, while numerous fish and sea life surround them. Guest will have approximately 25 minutes of the amazing marine life below. Snorkeling is an adventure activity which is very popular off the Andaman & Nicobar Islands. One can enjoy the under-water marine life and view the rarest varieties of corals by Snorkeling in the Andaman & Nicobar Islands. You can Snorkel pristine and undamaged reefs, right off white sandy beaches. Equipped with a mask, snorkel and fins, Snorkeling offers you the experience of studying the exotic wonders of the coral reefs. Snorkeling is an exciting sport that lets you rub shoulders with some unique marine species. For some best snorkeling action you can also take a trip in one of the open fishing boats that offer excursions from different Islands in the Andaman & Nicobar Islands. Underwater, kaleidoscopes of coral colors showcase a variety of reef fishes, turtles, sharks and rays. Many visitors, never having seen fish in such densities before, are bewildered by the sheer numbers of the fish in the vast shoals that populate the reefs. The best snorkeling site in Andaman & Nicobar Islands is at Havelock Islands. The sea around Havelock Islands, display an incredible density and diversity of marine life in seas that sometimes seem to almost boil with fish. The other best places for Snorkeling in the Andaman & Nicobar Islands are Mahatma Gandhi Marine National Park near Wandoor, Jolly Buoy and the Red Skin Islands. Cinque Island is another location with some fantastic coral. Snorkeling is also possible off Port Blair at the Andaman Water Sports Complex. The under water corals in Andaman island beaches are extremely colorful. One can experience the live corals at Jolly buoy, red skin, North Bay etc. ; People who do not know swimming also can experience the underwater marine world as they will be escorted by experienced person. We will take you to all of the best snorkeling spots in Andaman & Nicobar Islands. 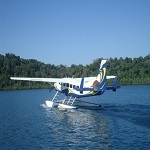 It is worthwhile to experience flying in Seaplane, as the Amphibian Aircraft offers large individual windows to each and every passenger that gives fantastic aerial view of the scenic beauty of Andaman and Nicobar islands and particularly the thrill it offers while flying so low above the sea level combined with the excitement of landing and taking off in the sea. In Port Blair the Seaplane operates from the Pawan Hans Helicopter base in the Airport and in Havelock and Diglipur it lands and takes off from the earmarked water dromme in the Sea near the Shore/jetty. Floating pontoon is placed in the waterdromme in Havelock and Diglipur on which the passengers will be disembarked from the Seaplane. To take passengers to shore from the Pontoon and vice versa, Exclusive Speed boat is also pressed into service. Andaman and Nicobar Islands has some splendid hills that are perfect for beginners as well as trained. One can go trekking through the nature trail from Mt. 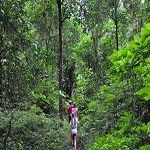 Harriet to Kalapathar and enjoy the rare forest life, flora and fauna. There are other trekking routes also at places like ChidiyaTapu. Andaman surrounding water has been reputed for game fishing. Fishing in the untouched reefs of the Andaman Islands, for long inaccessible and untouched this Island group is the last frontier for true big game sport fishing. 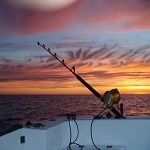 These tropical islands of rainforest,mangroves and deep drop offs, makes an ideal location for any form of saltwater angling. 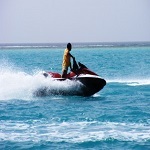 Jet ski is among the most popular adventure Water sport activities in the lagoons of Andaman Islands. This is one sport which does not require you to be a trained and is as much fun .The best places for Jet ski in the Andaman Islands are the Andaman Water Sport Complex.